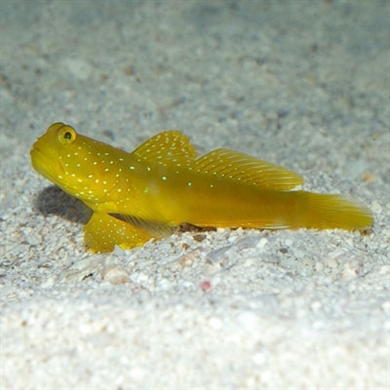 Like all the other Watchman gobies, the Yellow Watchmen are very territorial and will guard their area. They may form a symbiotic relationships with pistol shrimp; because of this they need sand and rocks, where they live out of a hole. Only one Watchman should be kept per tank unless the tank is very large and you introduce them at the same time. It will sift the sand looking for food, making it a good sand mover.